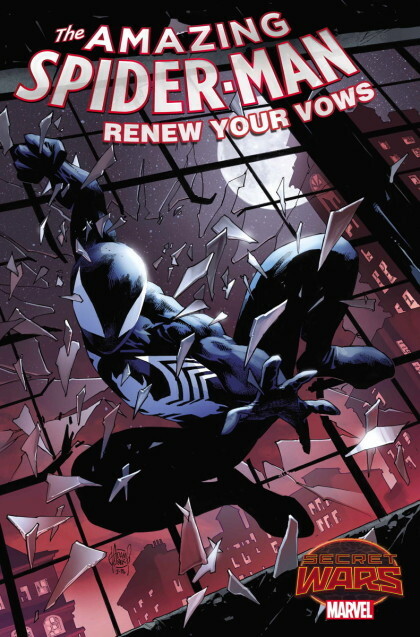 KYLE’S PICK(S) :: SECRET WARS: AMAZING SPIDER-MAN RENEW YOUR VOWS #3: Having a more paternal, adult Spider-Man who is constantly worrying about his family and making sure that he is doing whatever is best for them is a definite future shock for Spidey fans. I never thought I would see a time where his witty banter would go out the door but this is the comic that shows a new side of the wall crawler that gets down to business no fuss, no muss. Also its just REALLY GOOD. 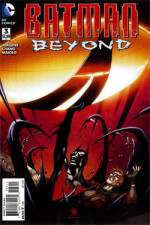 BATMAN BEYOND #3: This book is not what I was originally expecting when it was announced but it is the ideal reboot for the story arc of Futures End that it is springing from. A future that will definitely look new to all Batman Beyond fans but there are still plenty of faces that they will remember like our favorite inky villain that loves to throw a wrench in the Future Dark Knight’s plans. Dattins a real good un.